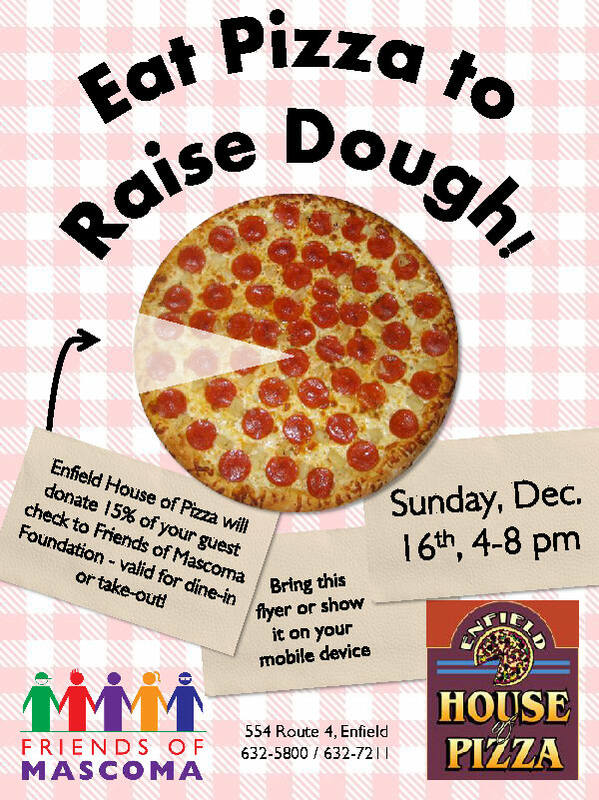 We are holding a fundraiser at Enfield House of Pizza on Sunday, December 14th. Order between 4 pm and 8 pm, present the following flyer, and 15% of your check will be donated to Friends of Mascoma! Thank you in advance for your support and for eating local.